Dominica is an island nation in the Caribbean’s Lesser Antilles region. The island is quite small measuring at 750 square kilometers in land area. The population count as of January 2014 is 72,301. It was the Spaniards who first discovered the island but throughout most of the island nation’s history, they were colonized by French. Great Britain took over control of Dominica during the late 18th century that led to English being established as the official language of the country. 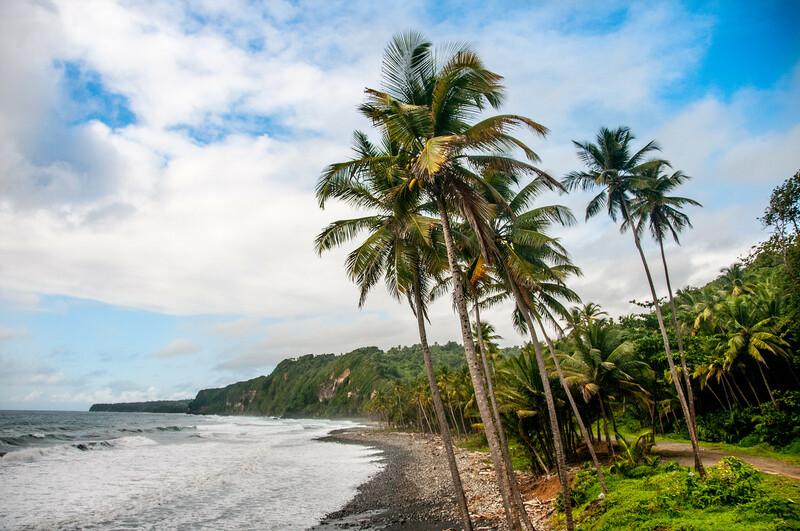 If you want to travel to Dominica, read on to learn more about what this island nation has to offer. 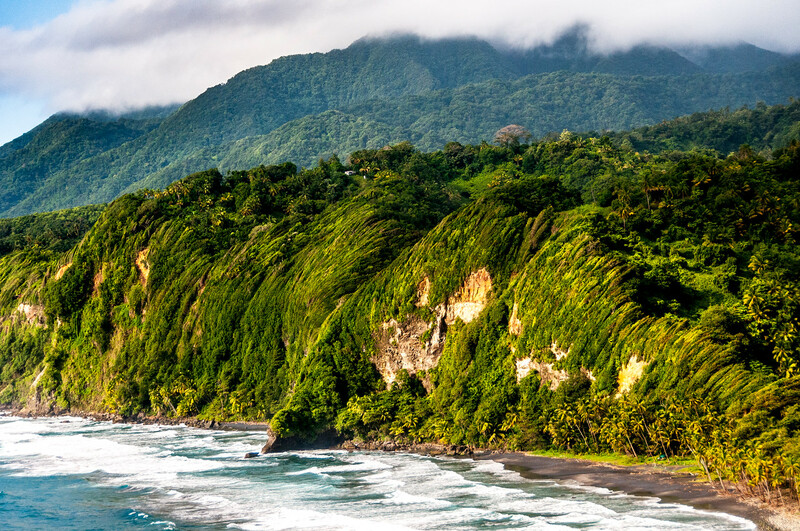 Dominica is nicknamed as the “Nature Isle of the Caribbean” due to its unspoiled natural attractions. The island in itself is also pretty young; in fact, it is still developing thanks in part to the active geothermal-volcanic activity from a hot spring in Dominica called Boiling Lake. The island is home to many rare species of plants and birds living within its mountainous rainforest landscape. As of 2008, Dominica had the lowest GDP among East Caribbean countries. They also went through a financial crisis from 2003 to 2004. In 2006, the country experienced growth in the tourism, construction and offshore industries. The banana industry also gave the economy a major boost. 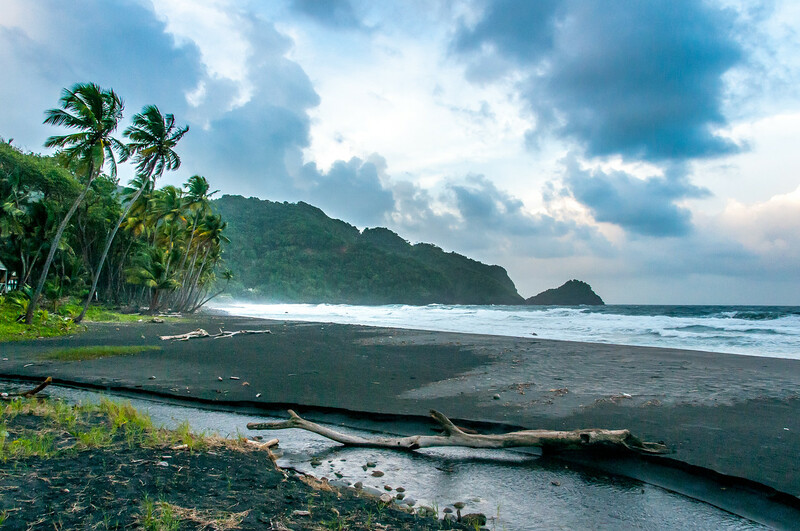 The development of the tourism activity in Dominica isn’t as fast as neighboring Caribbean countries. Official Language: English is the official language in Dominica. Wi-Fi Availability: It is now easier to find free Wi-Fi access in Dominica as most hotels and restaurants offer them. Airport/s: The Douglas-Charles Airport is the main international airport for travel to Dominica. It is located on the northeastern coast of the island. Driving: In Dominica, they drive on the left side of the road. International Driver’s License Accepted? Foreign drivers in Dominica can use their home driver’s license but you should obtain a local driver’s permit (either in the airport or via your car rental company). Crime: In general, Dominica has a very low crime rate. However, there has been an increasing trend in the rate of crime over the past few years, which should prompt tourists to take proper caution during your visit. The most report crimes remain to be petty crimes, though. Electrical Adapters: In Dominica, they use an electrical voltage of 230 volts at an electrical frequency of 50 Hertz. Trivia: DID YOU KNOW that banana is the number one export product of Dominica? In fact, it has formed the backbone of the country’s economy. The cuisine of Dominica has similarities to the cuisine of neighboring Caribbean countries, particularly that of St. Lucia and Trinidad. The staples in their cuisine are potato, rice, yam, peas, plantain and Tania (a type of root vegetable found and grown in Dominica). Poultry and seafood are also popular in the Dominican cuisine. They like to cook them in stews or soup dishes. Of all the three meals, breakfast is the most important meal in the cuisine of Dominica. They like to serve dried and salted fish (mostly codfish), fried dough, cornmeal porridge, and traditional British breakfast dishes (such as bacon and toast). You will find several street vendors in Dominica selling these breakfast favorites. Morne Trois Pitons National Park – This is a UNESCO World Heritage Site recognized for its natural tropical rainforest and a scenic volcanic landscape. It has sparked great interest in the field of national park preservation due to its rich natural heritage and biodiversity. 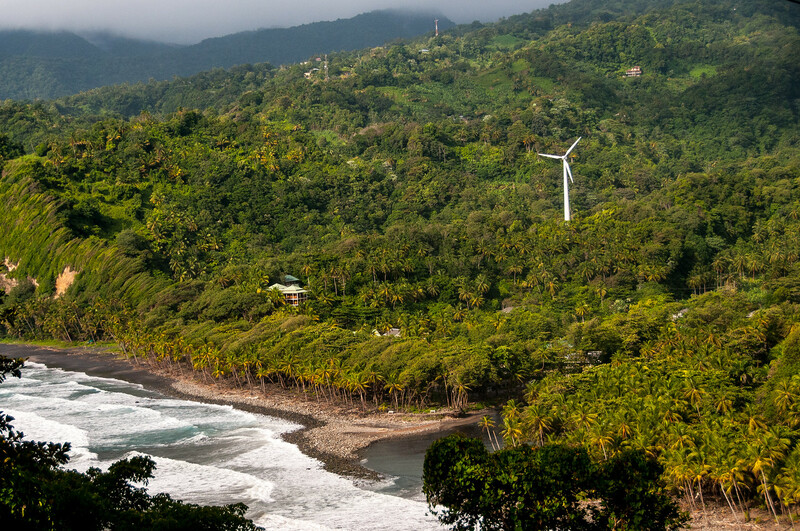 This is one of the most popular attractions in Dominica and shouldn’t be missed when traveling to the country. Boiling Lake – This lake is located within the Morne Trois Pitons National Park. This is the second largest hot spring in the world (roughly 250 feet across). It is a must-stop if you are taking a hike within the World Heritage Site park. Layou River – This river is a unique body of water as it flows throughout the interior of the country and connects to the Caribbean Sea. It is both the country’s longest and deepest river. 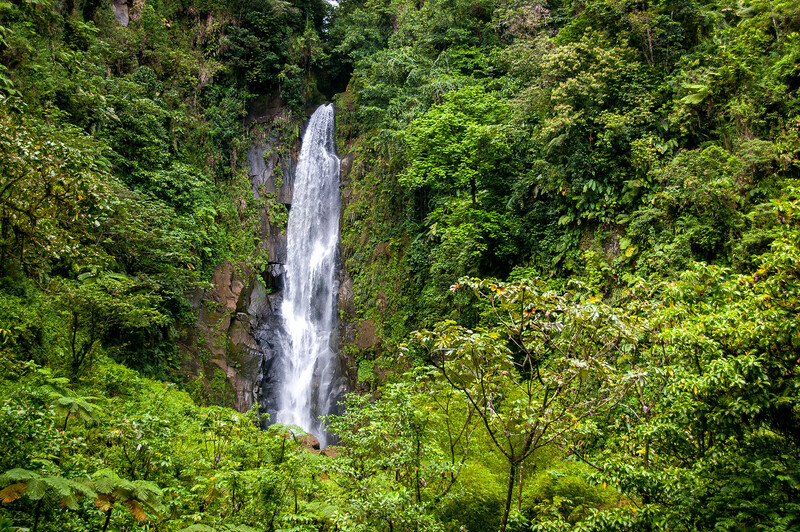 Trafalgar Falls – If you are looking for the best natural attractions in Dominica, the Trafalgar Falls is a notable addition to your list. You can find this falls at the eastern edge of the Morne Trois Pitons National Park. The falls is divided into two and are dubbed as Big Mama (on the right) and Big Papa (on the left). The source of water in the falls is from the lake linked to the Ti Tou Gorge.